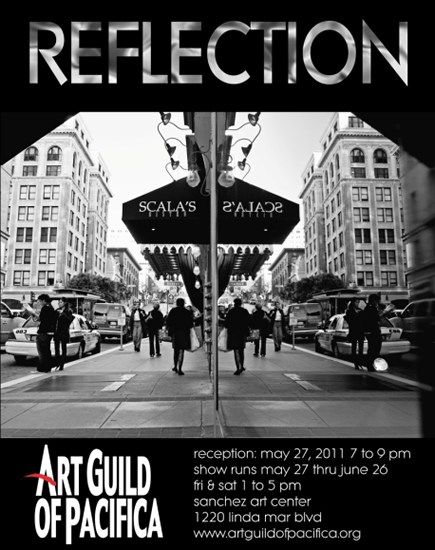 Also showing is Reflection, an Art Guild of Pacifica group show concerning the many possible meanings of the theme of reflection—the act of reflecting or the state of being reflected; an image, representation, or counterpart; or a fixing of the thoughts on something. 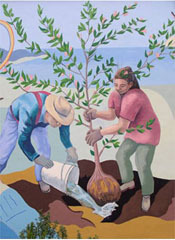 For more information, visit www.artguildofpacifica.org. Sanchez Art Center is located at 1220 Linda Mar Blvd., Pacifica, 1.5 miles from Highway 1, in the buildings with the colorful mural facing the street. Following the May 27 opening, galleries are open to the public Fridays, Saturdays, and Sundays from 1 to 5 pm, through June 26.